I received a comment this morning on my recent blog post about being Jealous of Peppa Pig because she is living life to the max. The Ski trips, sunny holidays, trips to the shops, museums, you name it, she’s done it. And I hate her for it. She has done more than me in her lifetime…and she is only 4. I digress, I received a comment on it by the wonderful R is for Hoppit (do check out her blog, she is just hilarious) and she said I shouldn’t be too jealous of Peppa because she can only see what’s going on, on one side of her head due to the positioning of her eyes, so she is missing out on all the other fun things that are going on the other side. Just Brilliant and a very valid point. 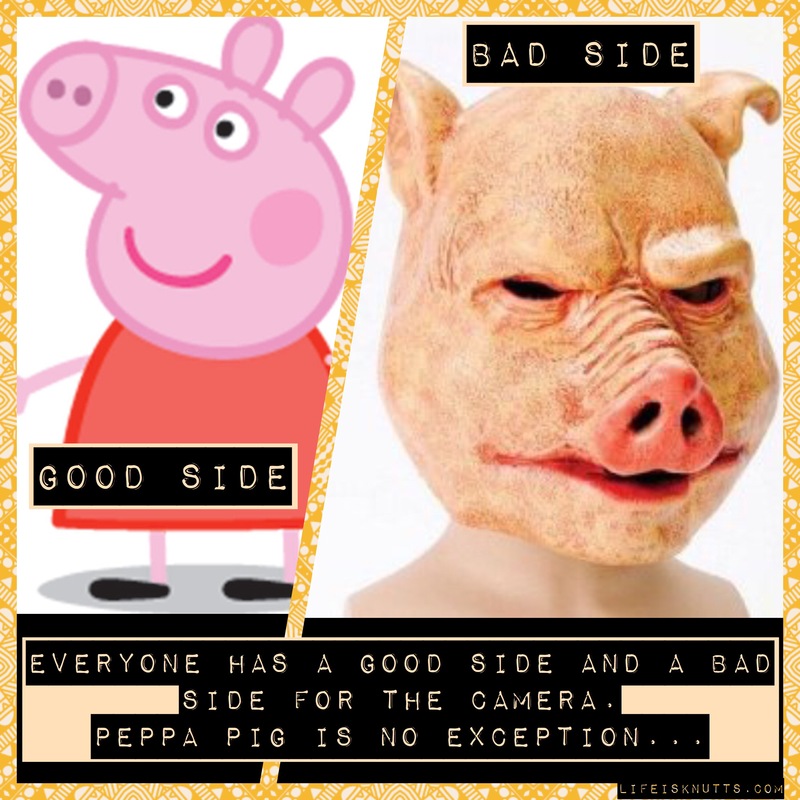 What is on the other side of Peppa’s face?? Maybe she has a good and bad side like most of us do when it comes to cameras…? After some research (and maybe photoshop) I made a shocking discovery. She only has makeup done on one side of her face, her good side. The bad side is, well, take a look for yourselves…it’s the stuff nightmares are made of.